It’s not every day that the Centers for Disease Control and Prevention issues an advisory about pet hedgehogs, but here we are. The CDC said Friday that it is currently investigating a Salmonella typhimurium outbreak that it believes may be tied to contact with these prickly critters, adding that you definitely shouldn’t be cuddling or smooching your pet hedgehog—hard as that may be. 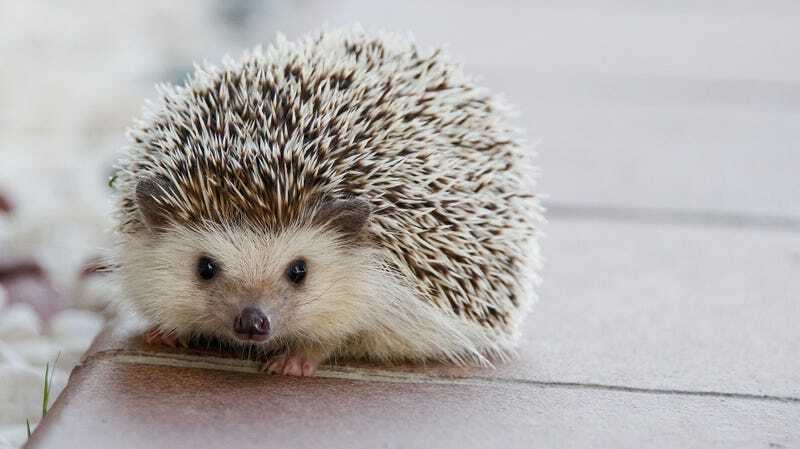 Eleven people across eight states have fallen ill after coming into contact with a pet hedgehog, with one individual reportedly hospitalized. No deaths have been reported in this outbreak, but a hedgehog-related Salmonella outbreak involving the same strain was linked to the death of a man in Washington in 2013. People with weak immune systems can be especially susceptible to potentially serious effects. The CDC said in its advisory that people began reporting sickness in late October, and 10 out of the 11 individuals interviewed by health officials said they had previously crossed paths with a pet hedgehog. So far, incidents have been reported in Colorado, Maine, Minnesota, Mississippi, Missouri, Nebraska, Texas, and Wyoming. Salmonella is an extremely nasty infection that can cause diarrhea, fever, abdominal cramping, and in some extreme cases death. Hedgehogs in particular “can carry Salmonella germs in their droppings while appearing healthy and clean,” the CDC said. So Salmonella outbreak or no, the agency advises that pet owners of rodents and other smol bois like hedgehogs always wash their hands after handling or tending to the animal, as well as avoid letting them roam free in the house or eating and drinking around them. This is, of course, no hate to hedgehogs. The CDC has issued similar advisories for pets like chickens (please don’t kiss them!) and turtles (again, please no kisses!) during Salmonella outbreaks. I certainly understand the need to squish the cute thing, but the CDC also advises against kissing and snuggling these pets in general—not just during an outbreak. Love your pet friends safely.